Our shared facilities are administered by the department of mechanical engineering. 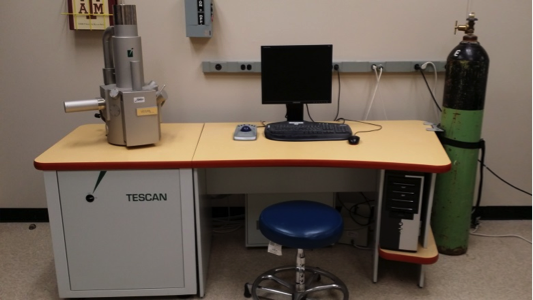 We provide students and researchers open access to a wide range of equipment for measuring, characterizing and imaging of samples. If necessary, shared facility staff or super user of the instrument will offer training before giving access to the equipment. Rates of training/usage are subject to change without notice. Create an iLab account on the Texas A&M Core Facilities webpage. Go to the iLab Mechanical Engineering Shared Services Facilities webpage. Next, on the “Request Services” tab of the Mechanical Engineering Shared Services Facilities webpage, initiate a “Training Request.” You will be contacted by staff once your request has been approved to schedule your training time. The P-6 Stylus Profiler offers advanced surface measurement such as step height, surface roughness, and waviness of samples up to 150 mm. The standard 2 µm radius diamond tipped stylus is installed in the system. The stylus profiler software (Apex®) provides various data analysis features, report generation, and post measurement analysis including 3D imaging. The following profile measurement was acquired by the P-6 Stylus Profiler. The TESCON VEGA II LSU SEM is designed to provide easy and fast image acquisition. The SEM is based on thermionic emission from heated tungsten cathode. Automatic procedures: vacuum control, filament heating, gun alignment, centering of scanning modes, compensation for kV, probe current optimized for spot size, spot size optimized for magnification, scanning speed, contrast & brightness, focus, stigmator, look up table. The following SEM image of gold particles was taken from the TESCON VEGA II LSU SEM. For more information, please read the instruction manual. The Keyence VHX-600K Digital Microscope is a high resolution (54 mega-pixel) 3CCD camera based system, providing 20 times the depth-of-field of conventional microscope. The VHX-600 provides real time measurements of distance, angle, and area determination. Furthermore, it can create a 3D image from the automatically captured images with high magnification up to 5000x. Other features of the VHX-600K include digital focusing function, digital zoom, various image correction functions and video recording function. The Shimadzu LC-2030C system equipped with a UV/Vis detector is highly reliable for separation and quantification of organic chemicals in water. The employment of an autosampler makes it easy to be operated. Purification columns currently available include TSKgel ODS-80Ts (2x250 mm, 5 µm), Restek 558389 (4.6x50 mm, 3 µm), and Kinetex Core-shell C18 (3x50 mm, 2.6 µm). It is located at JCAIN 321. The Shimadzu TOC-VWP analyzer is a newly designed wet oxidation instrument with enhanced sensitivity and accuracy. Powerful oxidation of water samples is achieved through a combination of peroxosulfuric acid, UV illumination, and heating. Total carbon (TC), Inorganic carbon (IC), Total organic carbon (TOC), and Non-purgeable organic carbon (NPOC) in water can be measured. It is location at JCAIN 321. 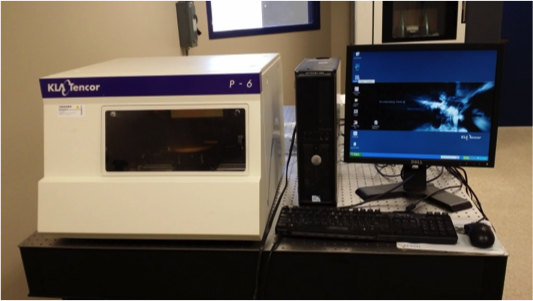 The Ultratech / Cambridge NanoTech Savannah S200 ALD System delivers outstanding deposition results and provides maximum experimental flexibility for ALD research, development and production applications. It allows atomic-level control over the thickness (subnanometer to tens of nanometer) and composition of the deposit on material surface. It is capable of thin-film deposition or coating on particles or porous materials. Three precursors are current available enabling the deposition of TiO2, MgO, and Al2O3. Other precursors are available upon request. It is location at JCAIN 321. MicroClimate chambers operate at a wide range of temperature and/or humidity conditions. You may program for temperature cycling tests or maintain steady state temperature environments. Control Stability: ±0.5 °C from -50 °C to +190 °C, ±1 °C below -50 °C, at steady state conditions after stabilization. Photron FASTCAM SA5 high speed camera offers 7,500 fps at greater than mega pixel resolution and up to one million frames per second at reduced resolution. Fastcam SA5 delivers unsurpassed light sensitivity (ISO/ASA 6400 - test compliant with ISO 12232) and dynamic range through its 12-bit monochrome (36-bit RGB color) sensor with twenty micron square pixels. 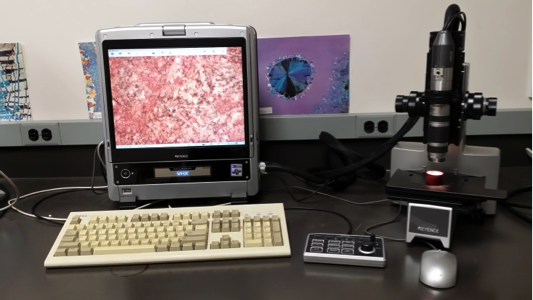 Olympus BX 61 is attached to a Visitech QLC-100 Spinning Disc Confocal Scanners, offering bright field, dark field, polarization, fluorescence contrast and motorized vertical translation stage. The Q600 SDT is designed to measure the instantaneous weight and differential heat flow in the same sample simultaneously at temperatures ranging from ambient to 1500 °C. For more information, please read the instruction manual from the following link. The Differential Scanning Calorimeter measures the temperature and heat flow caused by material transitions as a function of time and temperature, while in conjunction, providing qualitative and quantitative data on the exothermic and endothermic processes of materials during physical transitions. The DSC Q1000 includes a 50-position intelligent autosampler, digital mass flow controllers, and a refrigeration cooling system for higher temperature experiments. The Dektak 150 Profilometer measures the surface topography, roughness, and step size using stylus contact techniques. Two notable features include 3D mapping and 4-angstrom repeatability. Data Points Per Scan: 120,000 maximum Max. The Salt Spray Chamber is designed to test a materials ability to resist erosion effects caused by brine (salt water). Such materials may be included in electrical appliances, electrical hardware, and other accessories. All testing chambers can perform Brine and Cupric Acetate tests. A single testing period can be set from 0.01s to 9999h. Internal dimensions (WxDxH): 64? x 40? x 20? External dimensions (WxDxH): 100? x 52? x 56?